Explore the different International programs available below to determine your eligibility, or if you are ready, apply now. The Cultural Representative Program is a twelve-month work experience located at Walt Disney World® Resort, near Orlando, Florida. Participants have the opportunity to share the unique culture and customs of their country with Guests, while working different front line, guest facing roles. Participants must authentically represent one of the countries or regions we have recreated in look and feel at the Walt Disney World Resort. Countries and regions represented are: Canada, China, France, Germany, Italy, Japan, Mexico, Morocco, Norway, Southeast Asia (India, Indonesia, Thailand), Sub-Saharan Africa (Botswana, Lesotho, Malawi, Mozambique, Namibia, Rwanda, South Africa, Swaziland, Tanzania, Uganda, Zambia, and Zimbabwe), and United Kingdom. Within the World Showcase at Epcot, there are eight independent participant companies that have contracts with Disney. These companies (Operating Participants) were selected for the unique contributions in cuisine or merchandise they offer from their home countries. Cultural Representatives working in these areas are employees of the Operating Participant company, but still part of Disney International Programs. Accepting applications for arrival dates from June 2019 through June 2020. Be at least 18 years of age to apply. Be able to authentically represent China. Be receptive to Disney Look guidelines. Be fully available to work Sunday through Saturday, including days and nights, holidays and overtime. Candidates are required to attend a presentation and in-person interview in Beijing, Shanghai or Hong Kong. You are required to upload your Resume/CV and Cover Letter for this job application. Pay rate: Cast Members will earn an hourly rate of pay starting at $10.00 per hour depending on the role they are selected to perform. 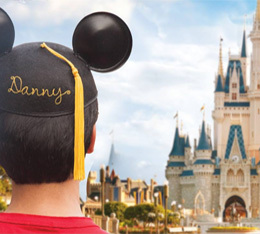 We strongly encourage candidates to explore disneyinternationalprograms.com prior to submitting an application. Since opening in 1971, Walt Disney World Resort has played an important role in many childhood and family memories. Today, hundreds of millions of guests from around the globe visit this magical place to enjoy a Disney vacation. Through a combination of creativity, innovation and technology, the resort immerses guests in classic Disney tales and new kinds of family entertainment. 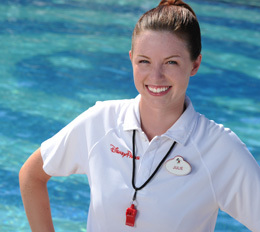 Drawing from a rich heritage of storytelling, Walt Disney World Resort cast members bring Disney magic to life through unmatched attention to detail and superior guest service. This position is with Walt Disney Parks and Resorts U.S., Inc., which is part of a business segment we call Walt Disney World Resort.